Ever since we tried the brilliant "aubergine tart" at Teatro my husband, Danprime and I were inspired to do create something similar. The aubergine tart tasted like an apple pie but instead of being made of apples it was made with eggplant! After doing some research we found that this type of tart is referred to as a "mock apple pie". Typically, these recipes involve strange ingredients like zucchini or even soda crackers but there were none that used eggplant. The key to making good mock apple pie is to not over cook the eggplant and to only use the firmest parts. Sprinkling salt over the slices will draw out the moisture and some of the bitterness associated with overcooked eggplants. Peel the skin off the eggplants. Cut each eggplant into 2 cm or 0.5 inch slices. Ensure that you have cut away the seed and "soft" flesh from the inside of each slice of eggplant in order to only use the very firm parts of eggplant. Sprinkle the slices with salt. Wait 30-40 minutes for the eggplant slices to "sweat" water (this process helps to remove some of the bitterness found with eggplants). 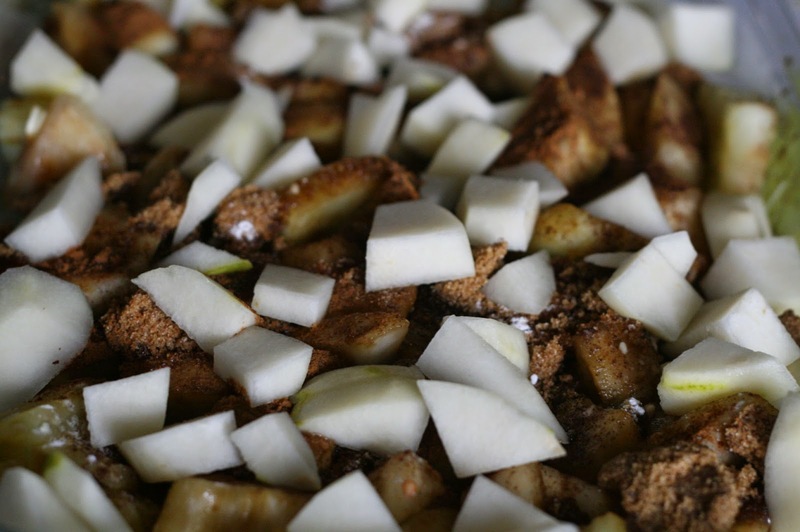 Mix 3/4 cup of brown sugar, cinnamon, cloves, cream of Tartar together in a separate bowl. Set aside. With a paper towel, wipe the moisture off the eggplant slices. (Optional) Set aside half a cup of the firmest parts of the eggplant slices. 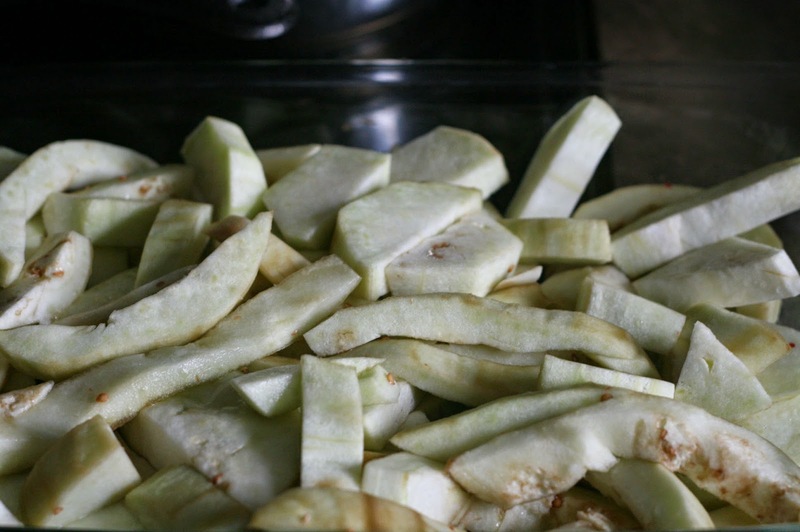 Cut the other eggplant pieces into "apple-like" chunks and slices. Then mix 3 tbps of lemon juice into the eggplant pieces. 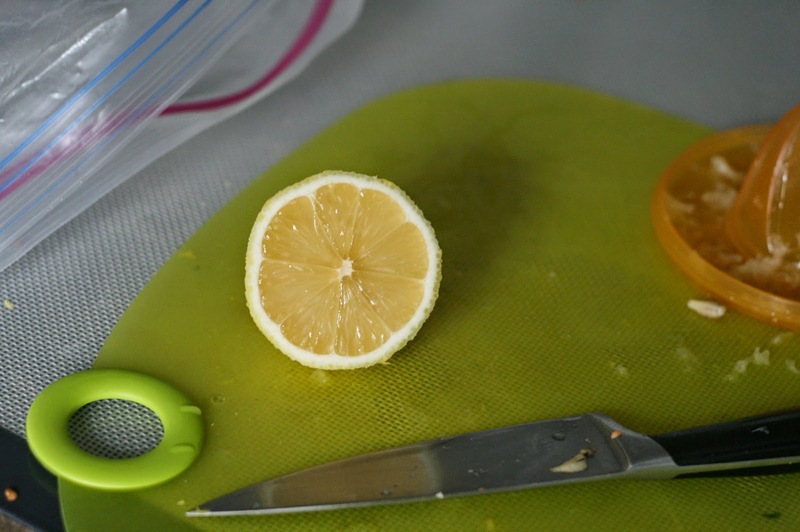 Cook the lemon-covered slices in a large skillet for about 5-8 minutes. Pour the skillet's contents into the large baking pan. 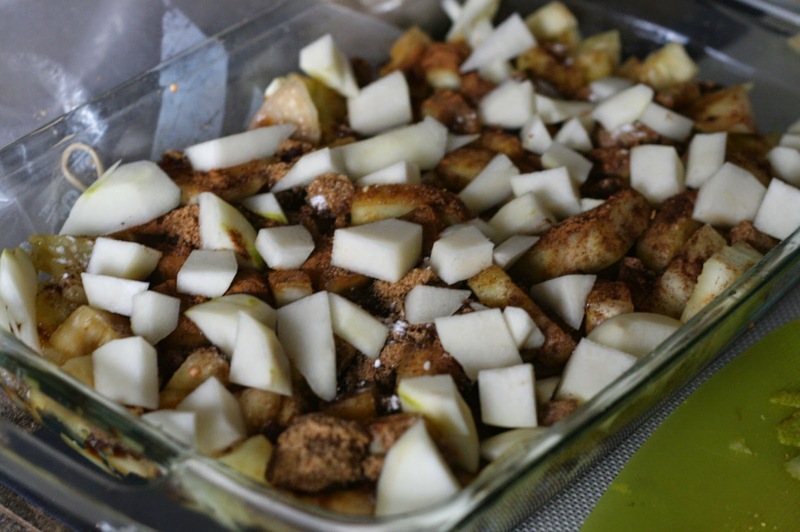 Pour half a cup of water into the baking pan along with the cooked eggplant pieces. Sprinkle the brown sugar mixture over the top of the eggplant slices. (Optional) Add the firm pieces of eggplant that you set aside earlier into the baking pan with the cooked eggplants. These firm pieces will provide an extra "apple-like" crunch. 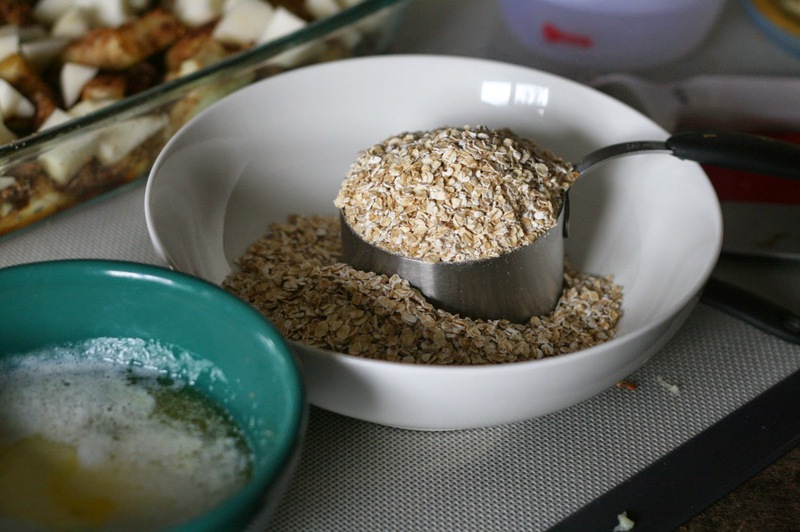 Mix the Quick Oats, Butter, and 1/2 cup of brown sugar in a separate bowl to make the topping. Then sprinkle the topping over the the eggplant slices. 50 Minutes before serving place the tray into oven. 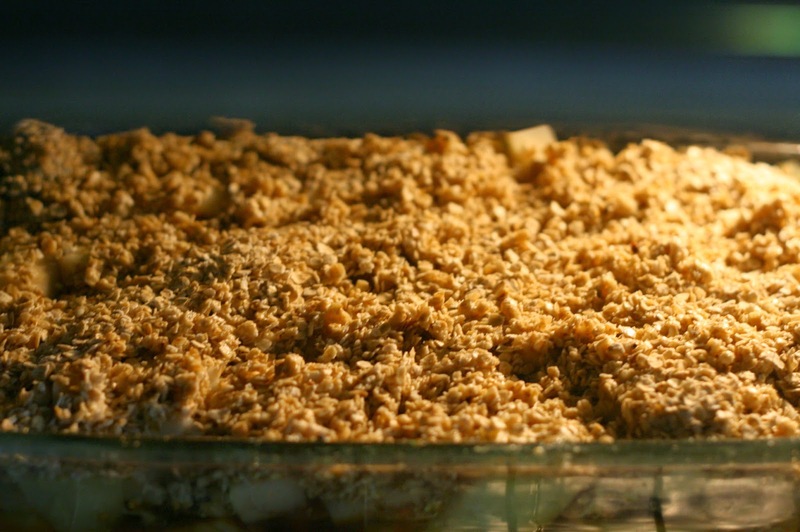 Serve your Aubergine (mock apple) crisp while it is hot and fresh. 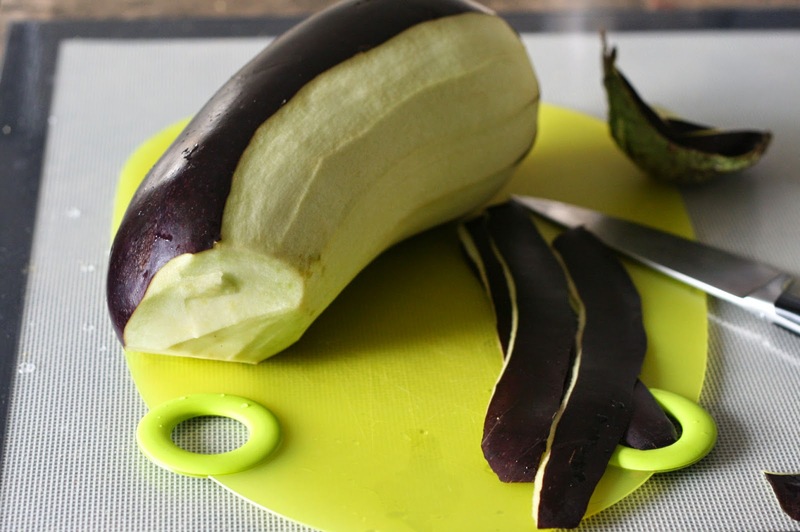 Over-baking can cause eggplants to reveal their "true" nature and flavour. Remove as much of the soft insides of the eggplant and seeds as that will remove a lot of the bitter flavour of eggplant. The firm parts of the raw eggplant should "feel" like cutting apple slices. It won't completely taste like apple crisp but some ice cream will help keep the illusion going. 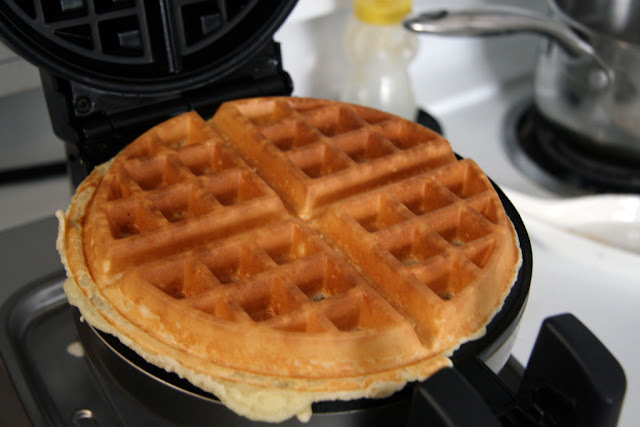 Using melted butter along with the oats helps to create a more tender topping with a little crunch. An added benefit is that while the crisps bakes the beautiful oat topping for the crisp stays in place and crisps on top. We served this dish recently to our friends without telling them that the dessert's main ingredient was actually a vegetable. Upon finding out, our friends were amazed and some even said "mind blown!". 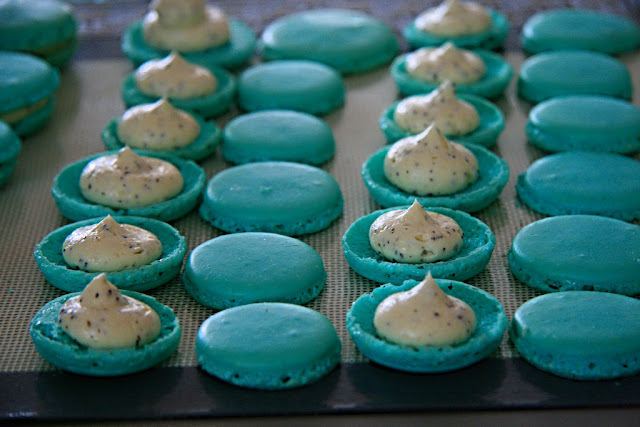 Needless say that this recipe is a hit! If you make this recipe or if you have made any other "mock" dishes let me know in the comments below.